“The owners have thought of everything a large group might need. Luxury self catering in the Wye Valley close to Hereford and Hay on Wye. 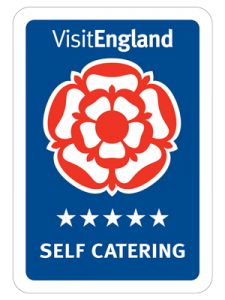 Awarded Winner of Best Self Catering House in Herefordshire and Wye Valley 2016′ by Visit Herefordshire and 5 Stars by Visit England. In Conde Nast Traveller as ‘one of the Best British Houses to book for the year ahead’ and in the Express as ‘Luxury Cottage to hire for those big family get-togethers’. The exceptional surroundings of Monnington House and Cottage always interests our guests – situated down a tranquil lane encompassed by acres of cider orchards you will find this beautiful house and cottage in a rural situation on the edge of a family farm in the Wye Valley. Sleeping up to 18 in luxury self catering holiday accommodation. There are 9 spacious bedrooms with 9 bathrooms. The main house accommodates up to 12 guests and in the adjoining cottage sleeps a further 6. The house receives guests from all over the UK, close to the M5, the Cotswolds and accessible from London, the North and South of England, the West Country, the Midlands and Wales. I organised a family reunion at Monnington for my husband’s 60th birthday. It was the most fantastic venue, with beautifully appointed accommodation, set in large, child-friendly grounds. The house had ample cookware, crockery, glasses & cutlery & the double ovens, dishwashers & washing machines meant that catering for a large party was easy to do. Online delivery of groceries/wine was simple to arrange & the local country store was convenient for other treats during the week. It’s walking distance to the local pub, the Portway, when you’ve had enough of cooking & the other walks in the area are beautiful, especially when the apple blossom is out. A perfect week. © 2018 Monnington House and Cottage, Monnington-on-Wye, Herefordshire. latest news, special offers and discounts. pass your details on to anyone else. Thank you for subscribing, you can unsubscribe at any time.